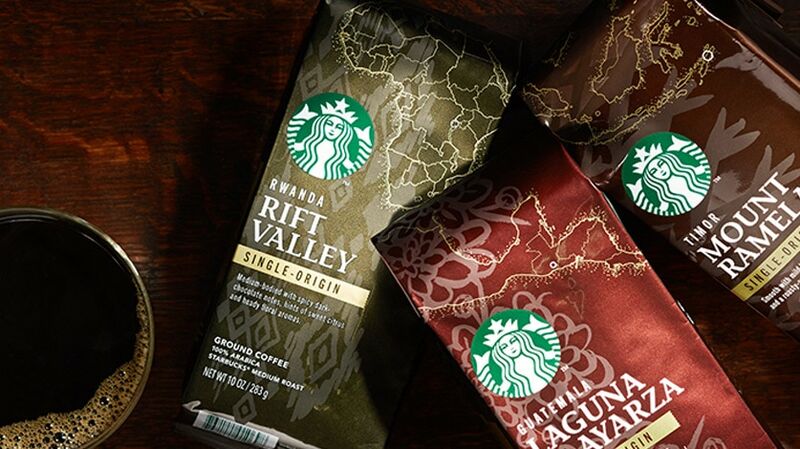 Introducing three new coffees, available exclusively in select grocery stores. Coffee beans get many of their distinguishing characteristics from where they are cultivated. Each of the world’s three coffee-growing regions – Latin America, Africa and Asia Pacific – have variances in soil, climate and elevation. As a result, coffee from a single country exemplifies the best qualities of its region and flavors unique to the exact place it's grown. We have a rich history of sourcing coffee from Guatemala, Rwanda and Timor, and through long-standing grower relationships and Starbucks C.A.F.E Practices, we are able to provide three distinctive single-origin coffees. Each coffee has flavors unique to its origin, and a taste all of its own. Beginning October 2014, look for these coffees in ground or K-Cup® Packs at a grocery store near you. This coffee thrives in the verdant highlands of the state of Santa Rosa, Guatemala, above Laguna de Ayarza, a double caldera lake formed thousands of years ago. The rich, volcanic soil and the perfect combination of warm days and cool nights allow the beans to mature slowly as their delicate flavors become deeper and more complex. This coffee is cultivated near Mount Ramelau, a lush, forested peak—East Timor’s highest— where the earth is well nourished and the weather is perfectly temperate. Cultivated in the backyards of smallholder farmers who meticulously tend each plant, only the ripest cherries are selected for processing, resulting in a smooth, refined cup. Rwandan farmers, committed to improving the quality of their beans, are cultivating some truly amazing coffees. This one flourishes in the nutrient-rich soil--a stunning red in color--of Rwanda’s Rift Valley. We love the elegant flavor it delivers to your cup and the promising future it brings to Rwanda’s premium-coffee growers. K-Cup® packs for use in Keurig® K-Cup® brewing systems. Keurig, the Cup and Star Design, Keurig Brewed, K-Cup and the Keurig brewer trade dress are trademarks of Keurig Green Mountain, Inc. used with permission.